We have recently added The ProMax X-ray Machine to our office, which brings new possibilities for treatment planning and maximizes the safety of our imaging procedures. This unit complies with the best practices in dentistry by following the American Dental Association's ALARA (As Low As Reasonably Achievable) radiation principle to minimize the effective radiation dose to our patients. The unique features of this unit allow us to choose what area of the teeth and facial anatomy we need to capture, which significantly reduces any unnecessary exposure. Our staff can also adjust the unit;s settings, allowing us to capture only the details we need. We will be using this unit with state-state-of-the-art software applications for the best possible are using the latest technology. We are an old fashion “One-Stop Shop”. 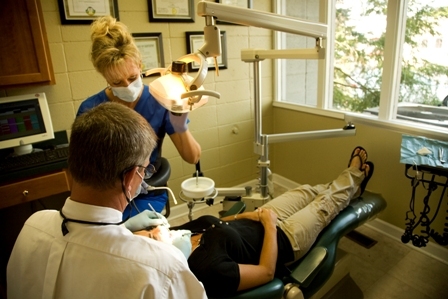 We now offer sedation dentistry. We recognize that you can have an emergency situation arise and we will do our best to respond to your problem promptly. If you do have such a problem, please call us as early in the day as possible.